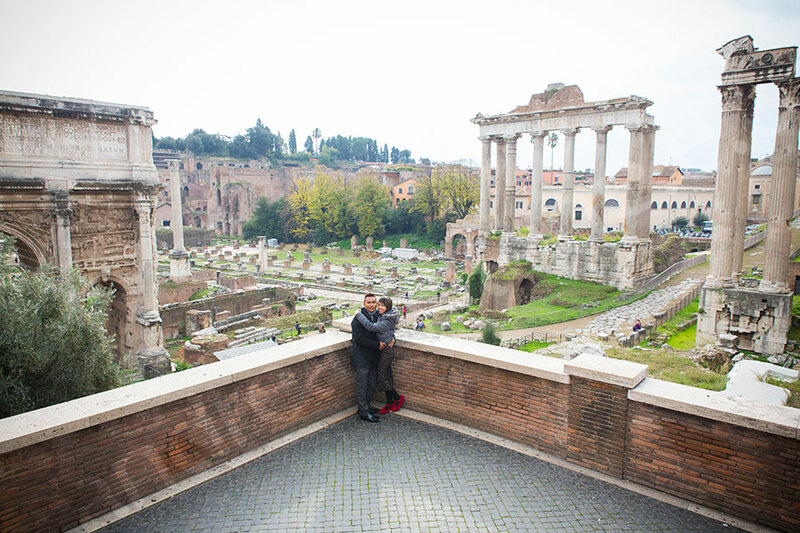 What a nice and pleasant anniversary photography like session in Rome this was. 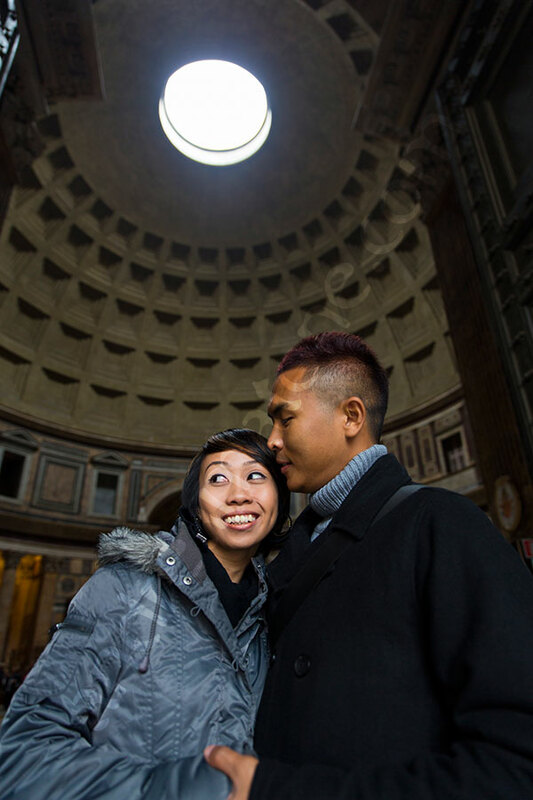 The shoot started from the Roman Colosseum and casually lead way to the city center on foot. Passing by lesser known streets capturing unique views of the city of Rome in an off the beaten track passageway. We climbed up the stairs leading to the Roman Forum and Piazza del Campidoglio. What a beautiful view of the Forums and of the city from above. The piazza has so much to offer in terms of picture opportunities. There are beautiful stairs, evocative columns, and wonderful rooftop views over the city. Then we moved down towards the Roman Pantheon and the Trevi fountain as the last location. Thank you so much for the pleasant tour wish you all the best! 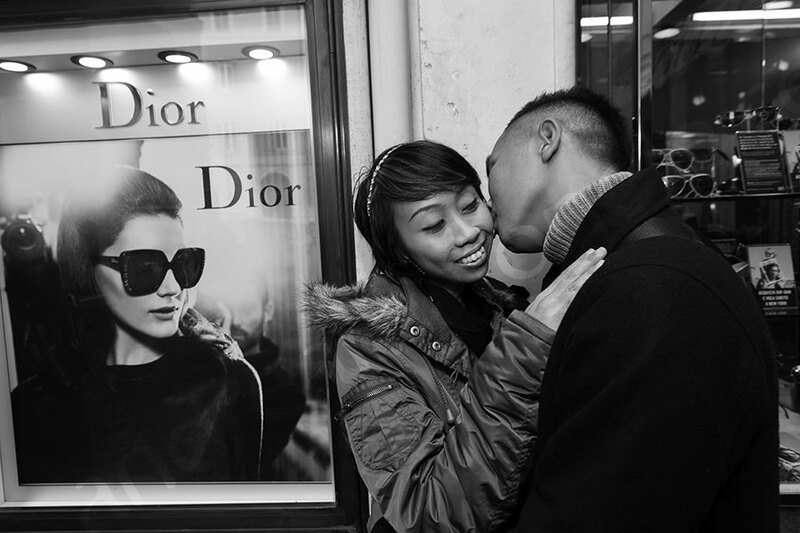 A Honeymoon Tour of the city with an engagement style like photography session in mind. 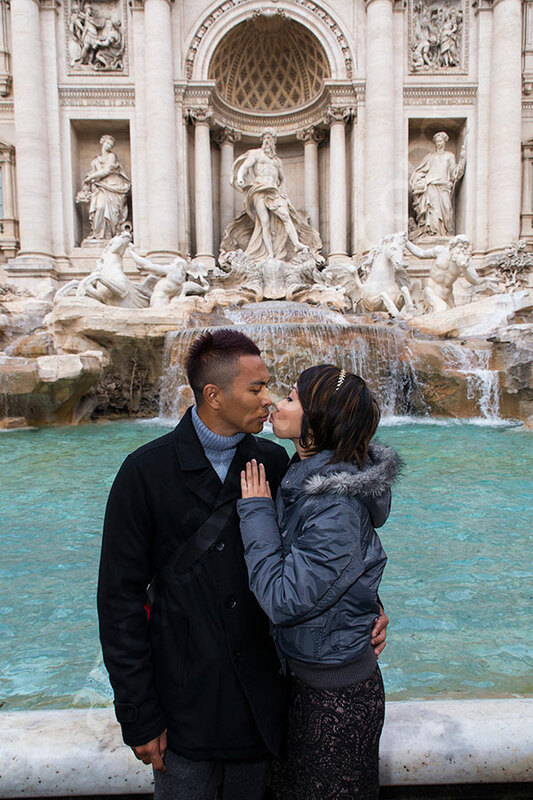 A romantic walk with a beautiful couple going from the Roman Colosseum all the way up to the Trevi fountain.